As we approach another family vacation, (only two more sleeps! ), I find myself stressed beyond belief, trying to fit all of the important things into a small bit of time. I have so many time management issues, I can never fit it all in! I use two paper calendars, plus my daily planner, plus my Google calendar to try to keep everything under control, and it still doesn't work. I have been needing a new take on family organization for awhile now! When I heard about the Hapimomi app, I knew that it was something that would potentially be very helpful to our family! What is the Hapimomi app? Well, it's a family calendar app, but it's way more than a calendar. It's more like a family sharing app, or a social media site that's just for your family. I knew that we needed something like this! "Hapimomi was founded in 2012 by us, just two parents living in Silicon Valley. Every parent knows just how crazy running a family can be with your own work schedules, kids' school, after school activities, tutoring, hobbies, vacations and so much more! A lightbulb went off for us, that being able to share with each other anytime, and on the go, is the key. We were frustrated by the lack of private sharing and planning apps for our family. The generic social sites are too public and do not help us coordinate with each other privately throughout a busy day. 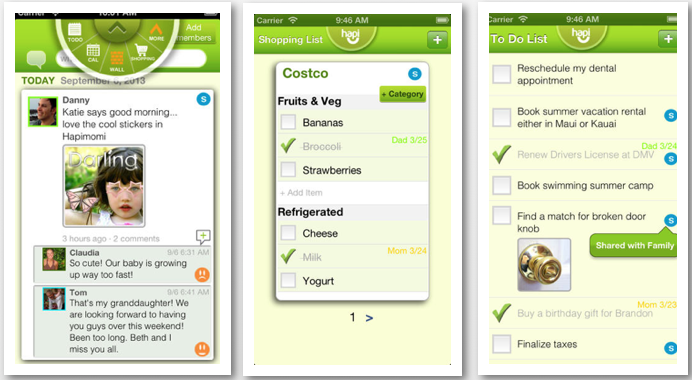 We wished there was an all-in-one app to also help us coordinate groceries, errands and had a fun calendar to plan events for our family. Additionally we needed a family phone book that we shared at all times. We definitely did not want six separate apps that require another six logins, with constant updates etc. So armed with many years of Fortune 500 marketing, finance and technology experience, we launched Hapimomi to help families stay connected and organized, privately!" How awesome is that? I just found out about this app a few days ago, and I am already loving it! 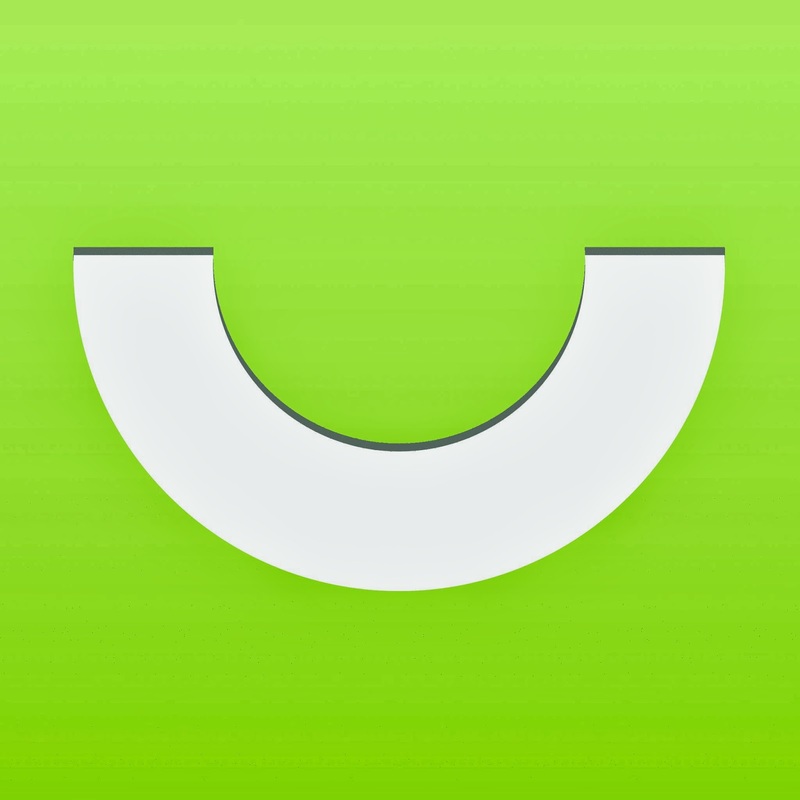 There are so many great things you can do with this app, from making grocery lists, to do lists (my obsession! 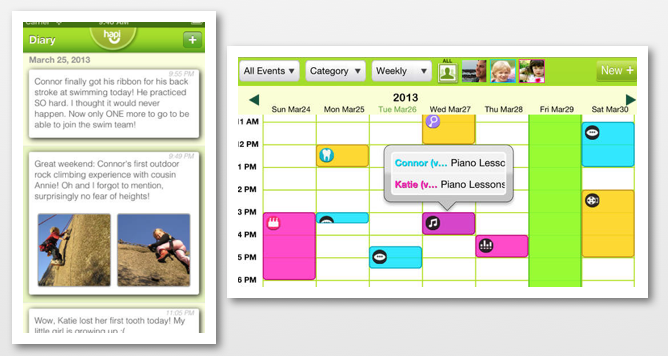 ), calendars, even a "wall" to share things with other family members! I love this whole app, the concept is really cool and something that is very much needed! 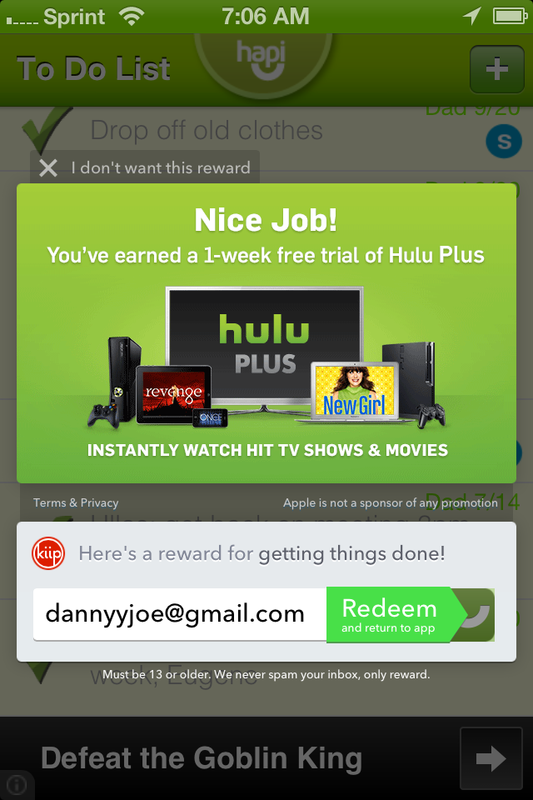 Plus, Hapimomi now offers a rewards program where you can earn rewards for using the app! Love that! I know that this app is really going to be helpful to our family, and maybe I can stop stressing out so much! Wouldn't that be nice!? I love that I can post personal things and no one can see them except family members. This will be great for things that I don't want everyone to know, like when the kids are sick, or when my oldest has gone three days without saying a curse word! (Big accomplishment around here LOL!) It's actually really cool to have your own personal social media website!!! You really should check out the Hapimomi app, it's going to be a great addition to our family, and I will check in in a few weeks and let you know how it's working out for us! In the meantime, you can download the app here! Make sure to follow them on Facebook and Twitter for the latest updates, and you can read more about the app on their website!